DARTMOUTH, Mass. -Southcoast Health today announced that the Southcoast Vein Center has been awarded a three-year accreditation by the Intersocietal Accreditation Commission (IAC) for outstanding quality in providing vascular services. 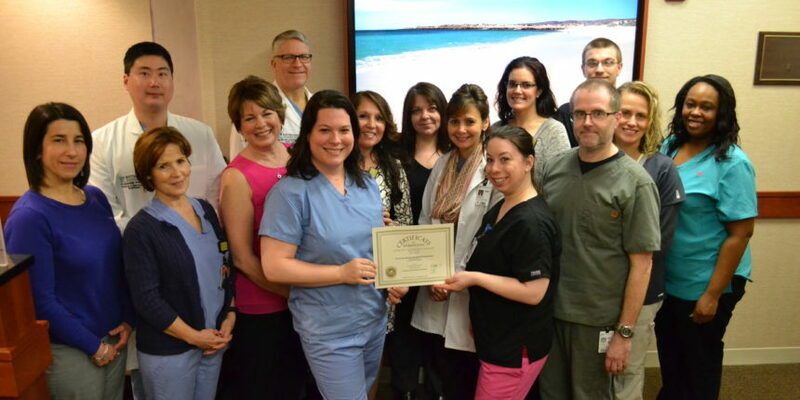 “Achieving the highest level of accreditation of the Southcoast Vein Center by the IAC demonstrates our commitment to providing the highest quality patient care related to the performance and management of all acute and chronic venous disorders,” said Dr. David Gillespie, Chief of Vascular and Endovascular Surgery at Southcoast Health. Southcoast Health achieved this recognition by adhering to IAC standards and enduring an extensive review and application process that included the examination of patient procedures. The IAC’s mission is to grant accreditation status to facilities in the medical community who provide high quality patient care in compliance to national standards. This accreditation is a seal of approval to indicate to prospective patients of Southcoast Health that the department has been examined by medical experts who consider it of the highest quality. For additional information on the Southcoast Vein Center, visit www.southcoast.org/veincenter or call 508-973-2213 to schedule an appointment.